How do I use the Ball Machine? To use the "Playmate" ball machine, call the office to reserve court #5 for the time you wish to practice. * Balls and a ball mower are provided along with the available court time. 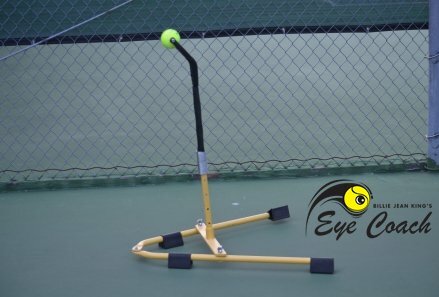 * We also have small ball machines - known as “Tennis Twist” that are battery operated that hold 28 balls and can be placed on any court to practice. These machines are also affectionately called "Little mothers" because they toss the ball out about 10-15 feet - like your mother - would to help you practice your skills. * Warning: Do not take this ball machine lightly because of its size - it is preferred by the advanced players as well as the beginner and intermediate players. * Use of "Tennis Twist" and "Playmate Ball Machine" is free for the tennis club members and great for all ages. How do I get my Racquet Restrung? * Stop by the tennis pro shop and and a staff member will assist you in filling out a form to get your racquet strung with in 24 hours by Director of Tennis - Ken DeHart who is a member of the USRSA- United States Racquet Stringers Association. * We have a complete selection of Wilson strings for all racquets. * Prices range for $20 to $40 depending upon the type of string you select to match your racquet and style of play. * Strings range from a simple synthetic gut to Luxilon strings used by the pros on the tour and even combinations of the two (hybrids) to match your games needs. Where do I buy my tennis equipment? * There is a tennis shop within the AVAC tennis office featuring Wilson racquets for all levels of play - junior to tournament level competitors, shoes, grips, socks, overgrips and 8 DVD's by our own Ken DeHart on skills, drills, mental toughness training and the 50 Best Tips to Improve your game. * If that's not enough, we will special order any Wilson equipment we do not have in stock for you. You can select from our Wilson catalog in the pro shop. Click here to peruse the 2013 Wilson catalog on-line. Write down what you like and bring it to our pro-shop and we'll place an order for you. 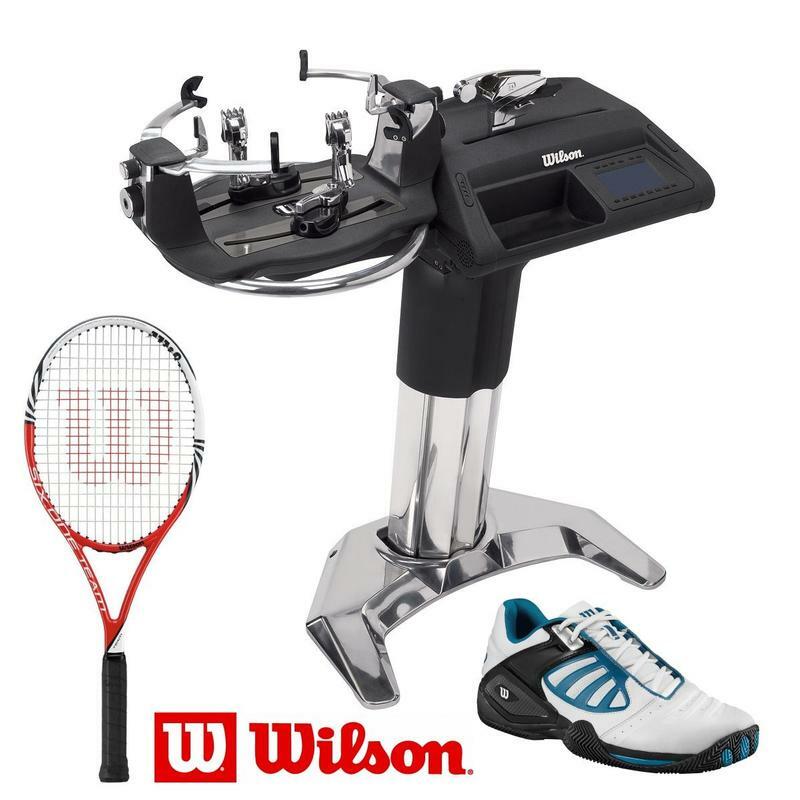 A boutique Wilson-affiliated Pro-Shop with a selection of racquets, strings and footwear. Next-day service for "Racquet Stringing" by USRSA certified professional stringer Ken DeHart.